Why is Unique Upholstery, Carpet and Rug Cleaning So Unique? Why Is Unique Upholstery, Carpet & Rug Cleaning So Unique? Unique always rotary shampoos all carpet to agitate and dissolve water and oil-based soil. Unique always cleans right to the edge of all carpet, including the corners of every room. Unique always confers with clients before beginning in order to find out all areas of concern. Unique always vacuums the carpet prior to cleaning. Unique always places protective tarps on floors and wall protectors for maximum damage protection. Unique always triple rinses all carpet with clean water to remove all residue (even residues from previous cleanings by others!). This Unique system will always deep clean to the bottom of the fibers and never go to the padding. Your carpet will not only look cleaner, but will stay cleaner longer as there is no residue to re-attract soil. 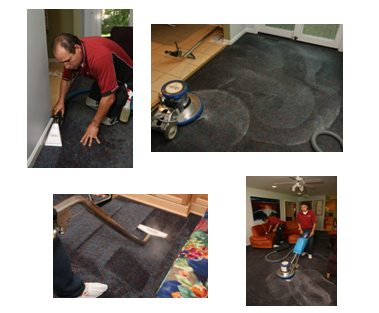 One of the main concerns is that when carpets are cleaned with some other methods, they will attract dust and soil in the air from residue left in the carpet. Would you ever clean anything and not rinse it thoroughly with water? Your clothes, car, hair, body, and dishes are always rinsed thoroughly to be truly clean. It’s the same with us. Your carpet will be damp when we leave, but you can walk on it with the Unique shoe coverings we leave for you. Subscribe to our Rockin' Newsletter!